The renaming of the highway applies to the 275-mile section of the route in Washington state, part of an interstate highway connecting Canada to Mexico. It’s no longer U.S. Highway 395. From now on, we’ll call it the Foley Highway. 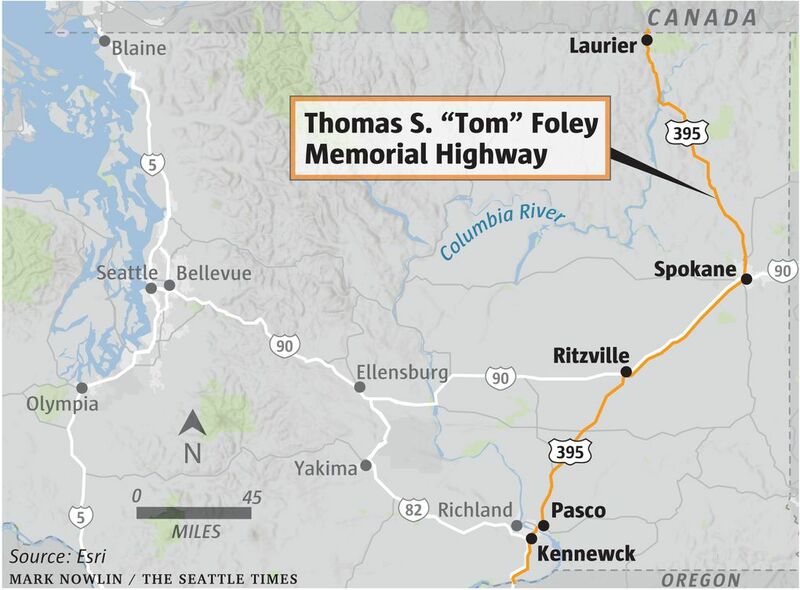 Officially, it’s the Thomas S. “Tom” Foley Memorial Highway, but that mouthful surely won’t last. The renaming of the highway, done in a ceremony Monday morning, applies only to the 275-mile section of the route in Washington state, part of an interstate highway connecting Canada to Mexico. And that’s fine, considering this was Foley’s territory. Born and raised in Spokane, Foley went into law and Democratic Party politics, eventually serving 30 years as Eastern Washington’s congressman and, notably, Speaker of the U.S. House of Representatives. Foley died in 2013 at the age of 84. Foley, who also has the imposing federal building in downtown Spokane named after him, was an influential politician who had a reputation for delivering for his constituents. We can thank Foley for the expansion and transformation of Spokane’s Fairchild Air Force Base and the Centennial Trail. However, when it comes to 395 – the Foley Highway – he was transformational. When state legislators agreed to rename the road earlier this year, they pointed to Foley’s work securing the money to turn 395 between Ritzville and the Tri-Cities into a four-lane, concrete highway. Under his guidance, Congress allocated $54.5 million to widen the road as part of a 1991 highway bill. The National Highway System chipped in another $10.4 million and the state paid $17.9 million. The road named for Foley is now one piece, but its sections were built separately over decades, and its cobbled-together past gives it a circuitous route as it shares pavement with other highways and interstates. The freeway has been contemplated since Foley was 17 years old. He worked for the highway department during his summer break from Gonzaga University. 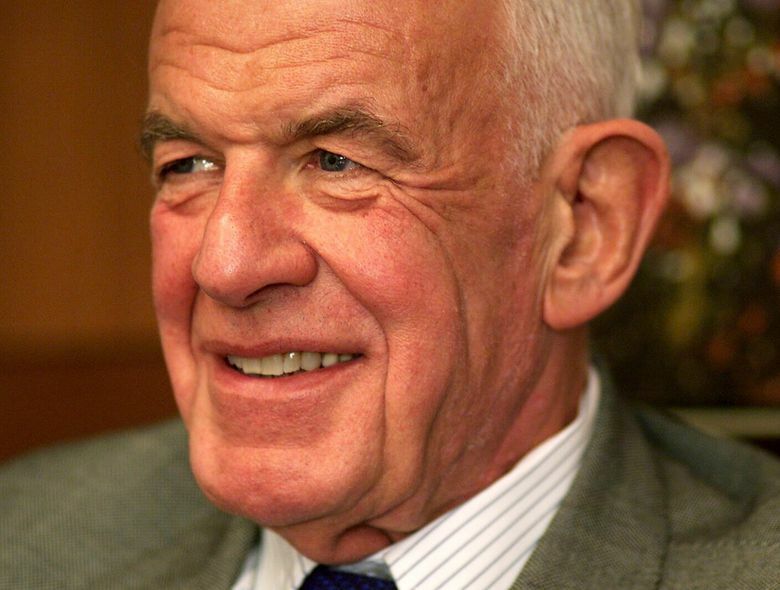 He later supported the highway’s construction in Congress, so much so that the Spokane City Council voted to name the north-south freeway after him in 2015. Then the Legislature did the City Council one better. Instead of the 10-mile stretch of new highway in Spokane after him, it named the entire state section after him. Former Sen. Michael Baumgartner, R-Spokane, tried to derail the effort somewhat. His amendment to name the part from Spokane north for the late Sam Grashio, a highly decorated Spokane soldier who survived the Bataan death march in World War II, was voted down. Foley lost re-election during the Republican wave of 1994, becoming the first sitting Speaker of the House to lose a bid for re-election since 1862. This defeat will stick with him in the history books for a long time to come. But for motorists, Foley may be remembered in the future as a highway, both storied and brand new.